Brian is currently appearing with the Original Practice Shakespeare Festival, all through the Portland Area this summer. You can see him as Macbeth, Prospero, Richard III, Claudius, and many others. "The starting point for both the humor and the pathos" according the Oregonian, Brian J. Saville Allard has become a mainstay of the Portland Acting Community. Since arriving in 2006 from New York, where he appeared off Broadway in The Tempest with Manhattan Rep and Aurora Leigh at Ensemble Studio Theater, Brian has delighted Portland audiences with multiple captivating performances each year. 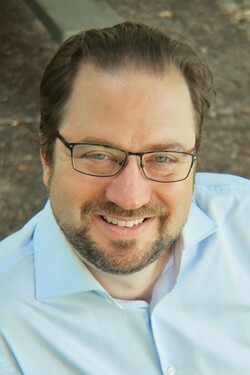 Previous successes have included the lead role of Peter in CoHo Productions' Tales of Ordinary Madness, Mr. Darcy in Pride and Prejudice with the Quintessence Language and Imagination Theater, the TNT television show Leverage, and Allen in bobrauschenbergamerica with Portland Playhouse for which the Willamette Week singled him out as "particularly entertaining."